Choosing the right authoring tool for developing your online courses plays an important role in impacting the knowledge and skills of your learners. On top of that, the demand for new learning material has never been higher owing to the fast-paced technological advancements and product cycles. 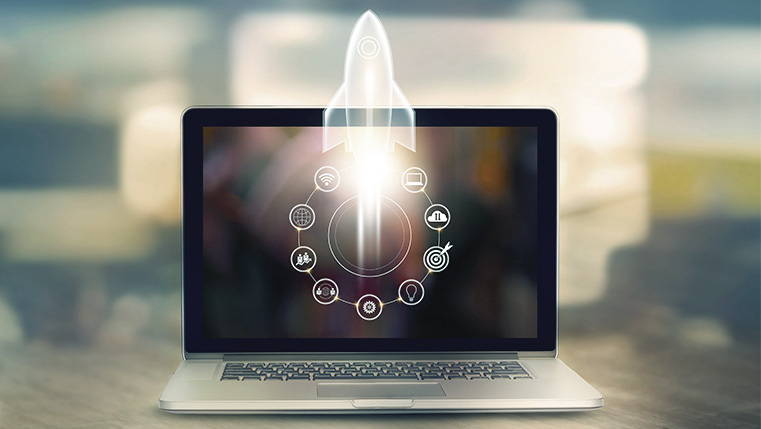 This makes the role of rapid authoring tools even more important as only a good tool will be able to deliver quality training in a timely manner. Of the plethora of authoring tools available, which one should you choose to meet your rapid development demands? iSpring suite stands out from the rest when it comes to rapidly creating high quality elearning courses with relative ease. Let’s see some of its most effective features that propel it to the front of the line. iSpring is the perfect tool to develop your existing PowerPoint learning material to online courses. This tool seamlessly integrates with PowerPoint and helps you turn a simple presentation into an e-course with tests, simulations, and other interactions. iSpring also carefully preserves all PowerPoint effects. Whatever the style of text, transitions, or animations you use in PowerPoint, the converted final course will faithfully follow the same. The best part about this tool is that you can convert existing PPTs into full-fledged e-learning courses with just a few clicks. Conversation simulations are one of the most effective learning methods that can be used to teach employees how to deal with customers. With the iSpring suite, creating them has become easier. Easily create a branched scenario with multiple endings that depend on the learner’s answers. To create a relatable environment for the simulation, you can select a character with the appropriate emotion, as well as a location that matches your workplace the best. You can make the simulation more meaningful by assigning points for the right answers and penalties for mistakes. All these features allow you to create powerful simulations with minimum effort. With the iSpring Suite, you can record videos from your screen and webcam simultaneously to provide a screencast with live video comments. Since the tool also detects the use of hotkeys, text, or click, you can easily show how to use a software, explain the purpose of buttons, and teach the right order of actions. To create effective video courses, iSpring also provides an interactive canvas like PowerPoint. You can add videos, images, text blocks, and shapes, and edit them on the canvas, just like in PowerPoint. To top it all, you can record audio narration right in the tool. Add audio to the editor and synchronize it with slides and animations. iSpring Suite reduces the time and effort for e-learning development with its interaction-ready templates for various training situations. Its 12 interactions can be used in a wide variety of training situations. For example, some interactions will help you explain a recruitment process, while others a sales funnel, or the configuration of complex equipment. You can turn your diagrams, instructions, and catalogs into interactive elements by simply choosing the template you need. You can even add a voiceover and turn the interactive template into a live lesson by uploading an audio file from your computer, or record and sync it right in the tool. iSpring lets you publish a course quickly to a web-friendly format and upload it to your website or learning management system. With just a click of a button, you can publish courses to the HTML5 format to make them available on a PC, laptop, tablet, or smartphone. 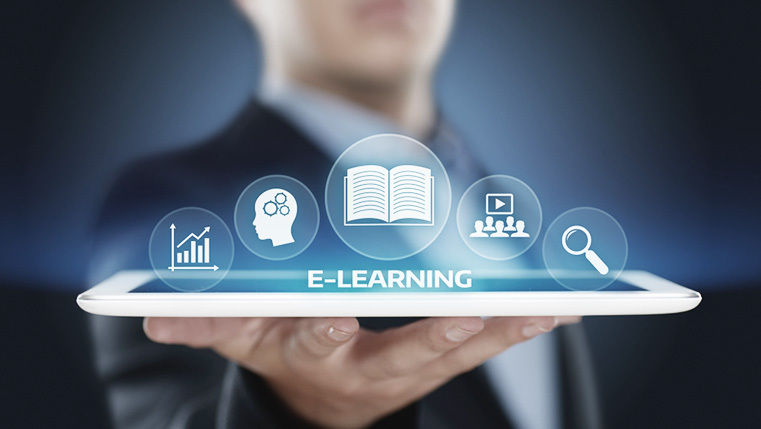 Courses created with iSpring meet all modern e-learning standards such as SCORM 1.2, SCORM 2004 (all versions), AICC, xAPI (Tin Can), and cmi5. This ensures that your courses run equally well on all Learning Management Systems, without any extra effort. Despite the fact that it offers many advantages for the rapid development of courses, iSpring needs to provide more options to customize your e-learning courses as per your brand. But having said that, it still remains one of the most easy-to-use and powerful authoring tools out there. Why is iSpring the Top Choice of eLearning Developers?